This extra large jewelry box has plenty of space for all your treasures. Premium Quilted Bigleaf Maple from the Pacific Northwest, all made from one board. This is a very large piece, solid wood, handmade jewelry chest. 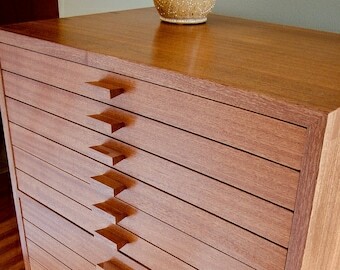 Hand cut dovetail case joints, dovetailed solid ash drawers, adjustable hardwood dividers, cotton velvet lining. Hand rubbed finish. It is a premium quality, intelligent solution for a serious jewelry collection. 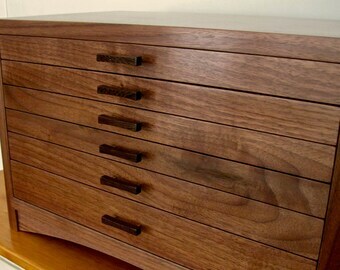 Solid Ash drawer dividers are adjustable and removable. 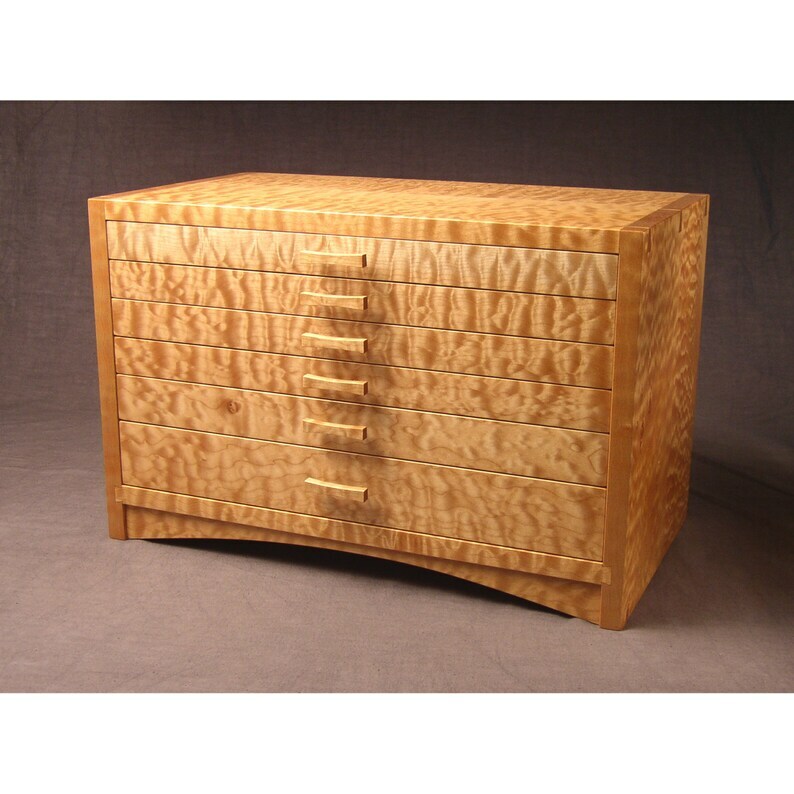 West Creek Studio has been making fine jewelry chests for 21 years. We ship worldwide. Contact me for an overseas shipping quote.